Feel like something a little different with your tortilla chips? This salsa is delicious! 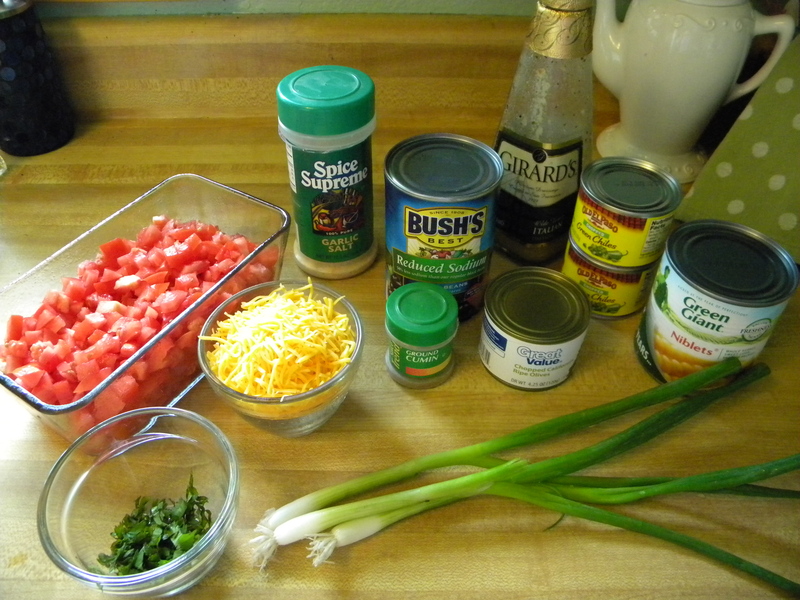 Here are all the ingredients you will need (minus the salt and pepper). 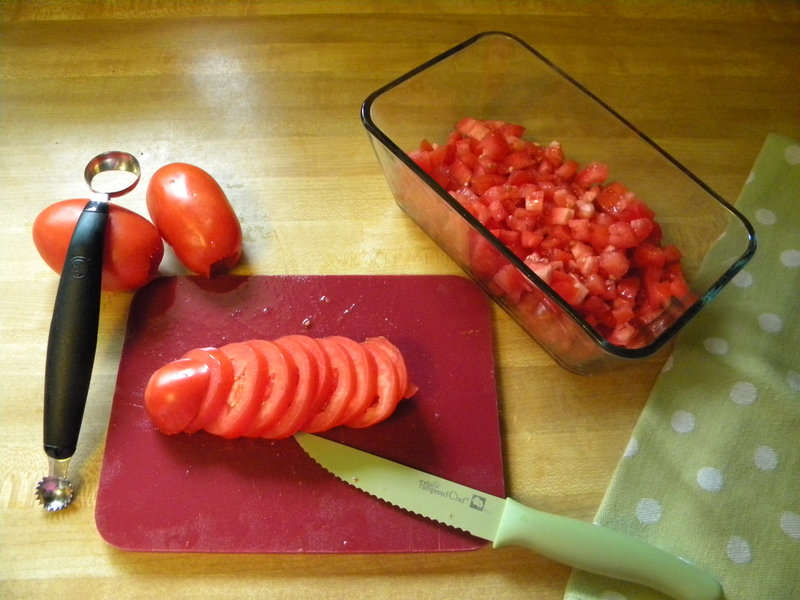 And, for those of you who are new to cooking, here’s a picture showing how you dice tomatoes–cut them into slices, then into smaller pieces. 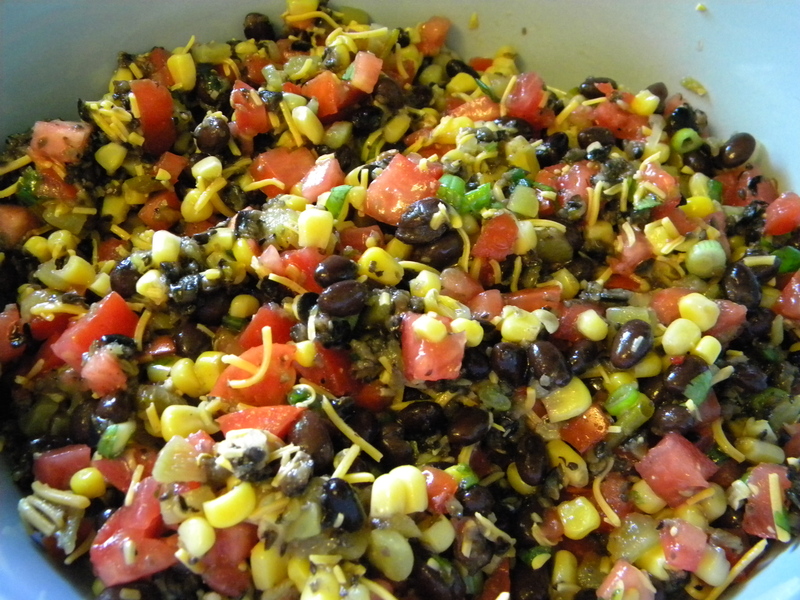 Mix together and serve with tortilla chips for dipping. (Note: I’ve even used Taco Doritos, which were surprisingly good.) Makes several cups depending on the size of the Roma tomatoes. Here’s what it will look like when you’re done. It will store nicely in the refrigerator for a few days.